Most of the times we usually share any value point, insipration, quote or anything which we need to show to all of our visitors. Mostly the people which usually are running technical blogs as well as inspirational websites used saying on every day basis. 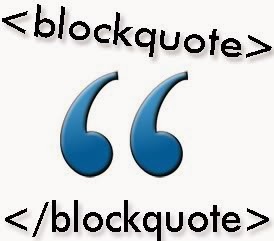 Quotations many of us as blogger used in our websites normally includes press release, some authorities has explained some things on their product release or about an update of items or support. Quotes are a highlight point of your blog submit which has to be presented in a means to grab reader interest. So right now we will disclose how to add an animated quote to blogger blog. You can check the live demo of this amazing and interesting widget below in this post. To add animated quotes to your blogger blog first you have to create a new post >> HTML tab and add the following piece of codes. Once you are finished with adding above code also adds the following code at that place of post where you want the quotes to be rendered. You can change the quote to your own quotes these are added just to guide you. Congratulations you have successfully added animated quotes in your blogger posts. Now your blog articles will look more professional and attractive than before. It's your turn now to share this post with your friends and write your views in comments till then Happy animating.